With Readly you can read 10 Amazing Websites and How to Build Them and thousands of other magazines on your tablet and smartphone. Get access to all with just one subscription. New releases and back issues – all included. Web designers love a good-looking website and, when they see one, they want to know how it was built. 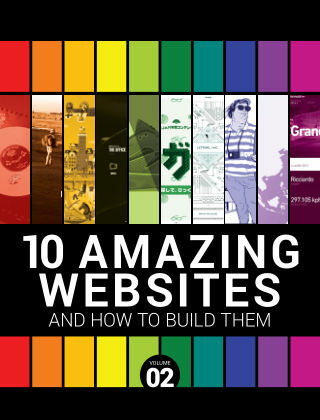 Following on from the success of 10 Amazing Websites & How To Build Them Volume 1, comes Volume 2. Once again we have cherry-picked ten of the best sites that have graced the web in recent times. Plus, discover the step-by-step techniques needed to start getting creative on your own sites.